It can show on the basketball court when two teams that appear to be going in two entirely different directions. 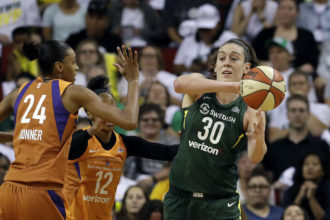 The contest at the Westchester County Center between the Phoenix Mercury and New York Liberty on Tuesday night was no exception to the rule as the end result was a Mercury 83-69 victory over the slumping Liberty. Phoenix, now at 11-5 also gained an earlier win over New York this year at Madison Square Garden. 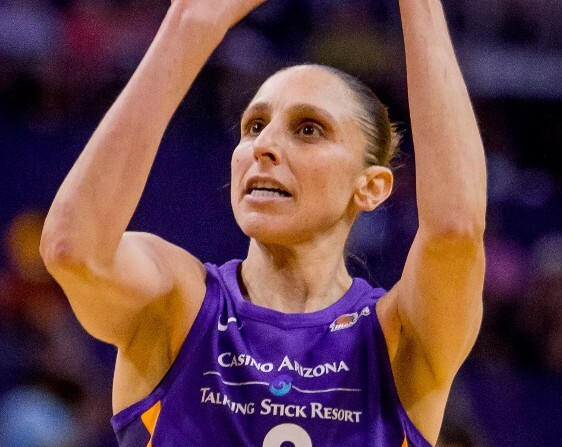 Diana Taurasi reached the 8,000-point plateau in that game. She made her first seven three-point attempts this game and concluded her evening with 27 points. Dewanna Bonner added 18. Brittney Griner and Sancho Lyttle each finished with 12. We just came off two big losses on the road that we were really disappointed about. So, I’m happy about tonight’s win because we played great basketball. 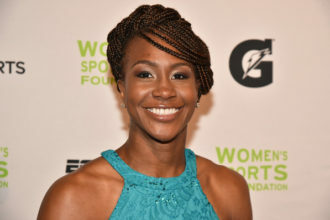 For the Liberty, Tina Charles had 12 points. Bria Hartley and Shavonte Zellous each had 11. Our defense was great. Tina protects the paint, so we had to make her feel uncomfortable. You have to make great players feel uncomfortable and that’s exactly what we did. This one, to an extent, was decided in the opening minutes of the first quarter when the Mercury began the game on a 12-2 run prompting a timeout from Liberty head coach Katie Smith. After that timeout, that lead increased to 15-2. New York managed to cut into the Phoenix lead and make it a 44-37 game at the half. Trailing 47-42 early in the third quarter, it looked as if a Kia Vaughn two-pointer would continue the Liberty comeback to make it a 47-44 game, but that was waved off as Vaughn was charged with an offensive foul. The Mercury went on a 20-4 scoring binge through the remainder of the frame. 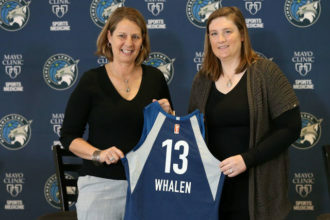 The defeat for the Liberty runs their record to 4-9 – highly surprising for a team that won ten consecutive games to conclude last year’s regular season and would have been the Eastern Conference champions if the WNBA still recognized conferences. It has to be particularly a concerning point for New York given that with the number of close games they have played, some of those defeats could have gone in the win column. There have been some losses that we took that we definitely had the game. We can say that our record should be ‘this and that,’ but this is the state of what it is. Phoenix continues its road trip on Friday as they face the Indiana Fever while the Liberty look to right the ship on the road in Washington on Thursday. 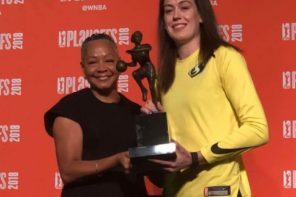 Don’t forget to check out Episode 18 of The W Podcast where we chat with the New York Liberty’s official DJ, Tiff McFierce! 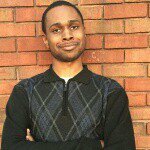 Also follow The W Podcast on Twitter (@thewpodcast_) and Instagram (@thewpodcast)!